A project that seeks to start a 34,000 square-foot food co-op, event space, and commercial kitchen in Detroit’s North End is gaining momentum and may open before the end of 2020, reports Brian Allnutt for CityLab. Supported by the Detroit Black Community Food Security Network, whose executive director is Malik Yakini, the “project could serve as a proof-of-concept for the ability of co-ops to build wealth, create food security, and drive investment in underserved communities,” Allnutt writes. The overall project is called the Detroit Food Commons, which contains the Detroit People’s Food Co-op. As Allnutt points out, citing the research of John Jay College professor Jessica Gordon Nembhard, the work in Detroit builds on a century-plus-old tradition of African American business cooperatives going back to the days of WEB Dubois and before. The Detroit co-op plans to create 20 to 40 jobs. Providing financing for the buildout is the Michigan Good Food Fund, a partnership among Capital Impact Partners, the Fair Food Network, Michigan State’s Center for Regional Food Systems, and the W.K. Kellogg Foundation. So far, the fund has invested over $12 million in food-based projects in Michigan, as well as providing technical assistance. The Fund sees food co-ops as a promising way to build wealth in communities facing systemic disinvestment. The Detroit food co-op effort has a lot going for it. 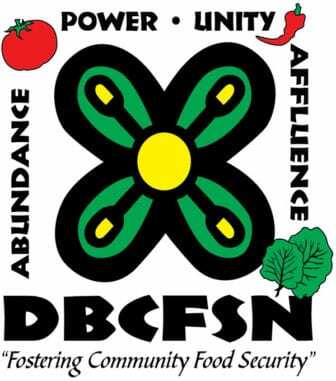 At the same time, organizers are well aware that the grocery business is a low-margin business and that food co-ops, just like commercial grocery stores, can and will fail if not run well. Yakini outlines the approach the co-op intends to take both to achieve its social mission, as well as maximize its chances for economic success. Management: Yakini says that one key social goal of the Detroit co-op is to employ Blacks in management positions, with the aim of building Black leadership capacity in the industry. Profit distribution: Yakini notes that many food co-ops give discounts at the register. Yakini contends, however, that this practice essentially results in “giving away profit before you know if the store is profitable.” Instead, the Detroit co-op will provide member-owners with periodic discounts, but distribute profits based on patronage and only if the store is profitable. Market niche: The Detroit Food Commons, as the overall complex will be called, aims to market itself as a destination for “hyper-local” produce. Commercial income: In addition to sales from the food co-op, the Food Commons also plans to generate additional income from commercial kitchens. Location: The co-op’s position near a major freeway and directly on Woodward Avenue positions it well to attract both customers from Detroit’s wealthier (and whiter) downtown and Cass Corridor neighborhoods, while also meeting the needs of the predominantly Black communities in most of the rest of Detroit. Product mix: While many co-op grocers offer only organic produce, the Detroit co-op will permit “clean conventional” products—essentially produce that is not certified organic, but which uses less chemical intensive methods of growing such as integrated pest management—to make up 25 percent of the store’s produce. This should make produce more affordable to customers. Outreach: The Detroit co-op aims to have at least 1,000 members before opening. To date, the co-op has signed up 271 members. Fresno is at the heart of a nearly million-person, rapidly growing, majority Latinx community in one of our nation’s most productive agricultural regions. It’s also often been a site of innovation in nonprofit-led community building.